I came across this recipe awhile back, and it is a crowd favorite, so these went with Matt to a potluck at work today. I have to admit – I think making them is a little like childbirth in that you need to forget how long/arduous/terrible the process is in order to be willing to make them again. But please, don’t let that deter you from giving these a try. 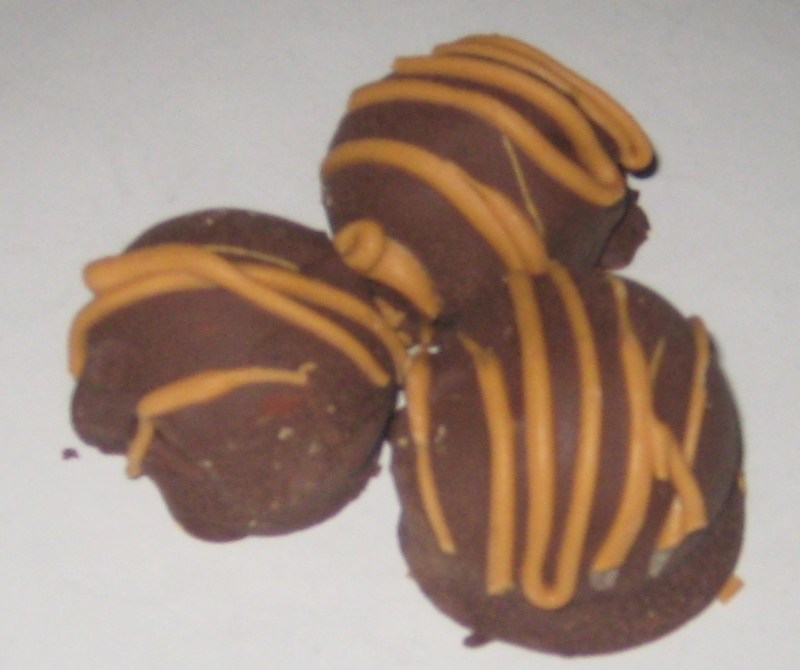 Obviously the whole childbirth memory loss has been working for awhile – I’ve made these no less than five times. 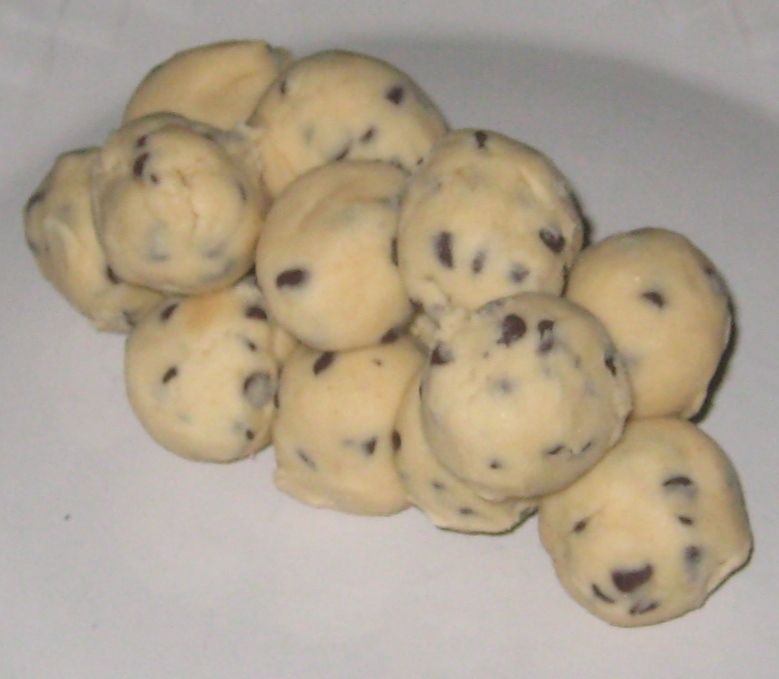 So with no further ado, cookie dough truffles! Cream the butter and brown sugar with an electric mixer, then add the vanilla. Gradually beat in flour and condensed milk. Add chocolate chips. Put the mixture in the freezer for about a half hour to make it easy/possible to roll into balls. Shape into 1-inch balls. Put them back in the freezer. Melt chocolate squares in the microwave. 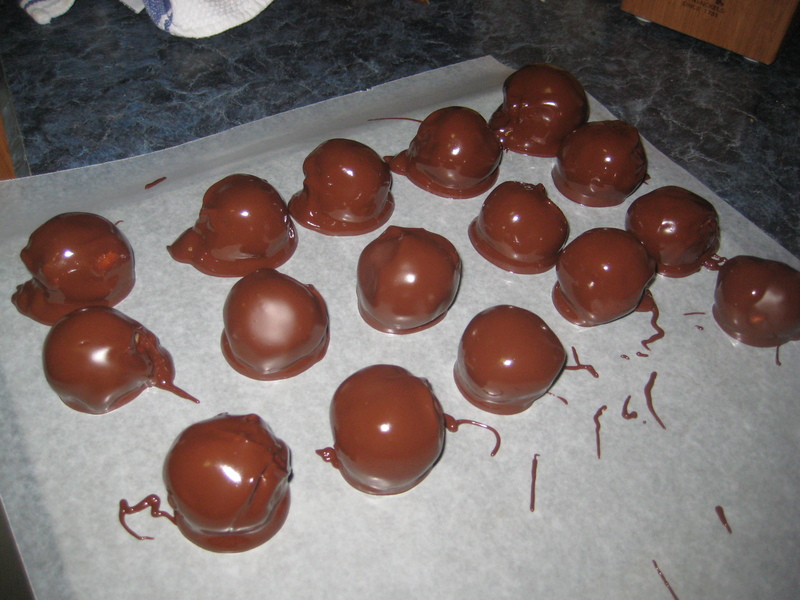 Dip each ball in the chocolate, then place on wax paper to set. 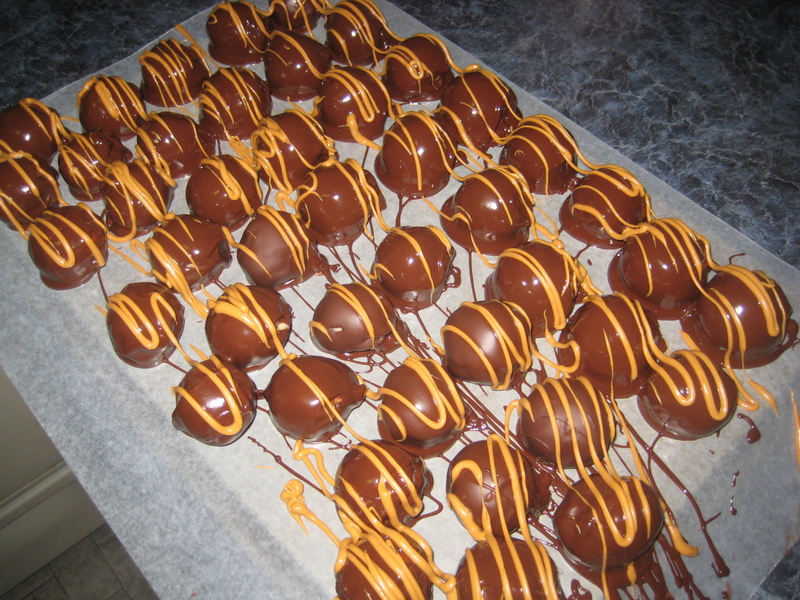 I like to drizzle them with a lighter colored coating at this point – these were drizzled with peanut butter candy coating. Store them in the fridge for at least an hour before they are ready to serve (or in the freezer for 15 minutes if you’re desperate). And enjoy! Quick substitution – if you like nuts, which we don’t especially, you can substitute 1/2 cup chopped nuts for 1/2 cup of the mini chocolate chips! these need a connect-in installation).